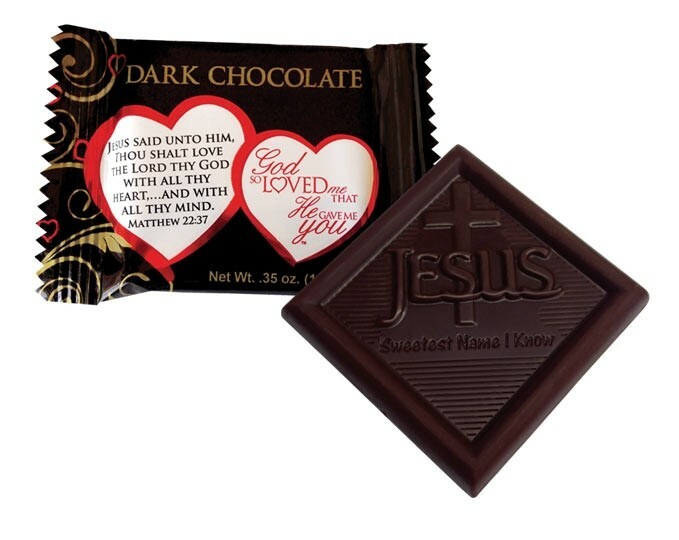 These Christian Chocolates feature Rich, smooth,dark chocolate is individually wrapped in the "God So Loved Me That He Gave Me You" theme and a love scripture. Treat yourself or your loved ones to this delicious chocolate, proudly made in the U.S.A. These religious candy chocolates come Approximately 100 pieces per box.